Finally, you have made that big decision to move. You should be proud of yourself, that was not an easy thing to do. But when you have a family, nothing ever is. You probably know that already. Moving with kids as always a challenge, and that’s a fact. But what is also a fact, is that you are already used to challenges. Hence, you can do it. Let’s see some useful tips that can help you out. Your children are smaller but not less important family members. Make sure they know that. Obviously, they cannot exactly pick your new home or the city you will live in. If they do, there is a big chance you will be living in Disneyland. But let them make small decisions. Like what color will be the walls in their room, or to pick their new furniture. This will help them feel included and appreciated. And don’t worry if nothing matches, you can always blame it on them in front of the guests. 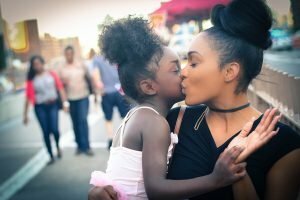 Talk to your children, communication is the key. Communication is the most important pillar of every relationship. Especially the one you have with little ones. Remember how everything seemed bigger when you were a kid? Well, this is how they feel about moving. They are confused, afraid and can’t really understand what is going on. This can be their weakness or their power, it’s on you to guide them. Because although they can’t really figure out what moving means, they can adjust much faster than grown-ups. Most noteworthy, talk to them and be sincere. They are stronger and more reasonable than they look like. Sometimes even more than we are. They will have a million questions about your relocation and they will bore the hell out of you. But try to give them answers. Because it will help them put together the puzzle in their heads. Also, they will pay you back in the best currency of all. Their smiles. Children maybe don’t understand every word you say, but they certainly absorb your energy. Have you noticed how cranky and irritable they get when you are nervous? Therefore, try to prepare and calm yourself first, and they will follow. Playing with boxes is super fun, and will keep them busy. Friends and family will probably offer you some help. Maybe you like being independent and doing everything on your own and that is admirable. But you are moving with kids, so wake up! You will need every possible help. If somebody is offering, grab it. You don’t have time for second thoughts or over-politeness. You have things to do and kids to look after. Whether they can babysit, take your kids on a play-day or a sleepover with their friends, don’t hesitate to accept it. After all, they will need your help one day, and you will get a chance to repay. We all love our kids more than anything. But let’s face it, they are sometimes just like hot potatoes. You just want to pass them on. Kids absorb your energy, so try to be positive. This maybe sounds like deceiving but it’s a white lie. You will probably need to get rid of some things before you move. 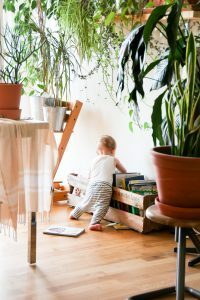 Decluttering your home is stressful even for you, and for your kids can be very traumatic. Most importantly, do not throw away toys and stuff that are important to them. If they wake up without their favorite bunny or don’t notice their favorite cereal bowl is missing, it will be a great shock. What you should consider throwing is some of their old stuff that is broken and forgotten. Or the clothes that don’t fit them anymore. Those you can pass on other kids in your environment. Also, those are things they will not miss or even notice they are gone. But if they were present, they probably would not accept throwing anything away. This maybe sounds like a beginning of a very bad comedy but its worth the try. I’m not saying to let them pack your precious china, but there are some things they can wrap. They will be busy with this little project and feel included. You will get the time and space for your own maneuver. Therefore, this is a win-win situation. Let kids pack their toys, it will give them a sense of control. Let them pack their toys in boxes. There really is no such a wrong way to pack toys. Also, this will give them a sense of ownership and control. They will feel good about themselves and hence, so will you. Moving with kids requires a lot of boxes and packing supplies. Maybe you could let them label them if they can write. And even if the can’t, a few drawings won’t hurt. It can actually be a creative way of labeling. Let them make a castle out of boxes and a magic cape out of bubble wrap. This is really a unique opportunity for this. House is almost empty and packing supplies all around. Who knows, maybe you will want to play to. The Christmas decoration is also something they can safely pack. It’s fun, colorful and cheap. Hence, you can go ahead and let your little packers manage your decoration solutions. This is a very important thing when moving with kids. They really should not think that they will not see their friends, teacher or cousins ever again. You should avoid this common moving mistake by explaining to them that they can and should maintain their relationships. Moving does not mean that anything important will change. They won’t be able to see each other every day and that is the fact. But they can talk via phone and video chat. Also, you can organize holidays together with your and their favorite people. This will give them something positive to think about and look forward to. Finally, saying goodbye is also a very important step, because it gives them closure. Have you thought of making them a goodbye party? With a bit effort, you can probably make their sad memory into a positive one. Now, take a deep breath. 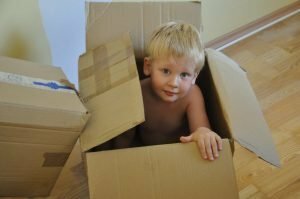 Yes, moving with kids can be a pickle. But keep in mind that they will probably handle it much better than you expect. Most importantly, show them that home is where the family is. Wherever you move, the most important thing remains the same. You are together.